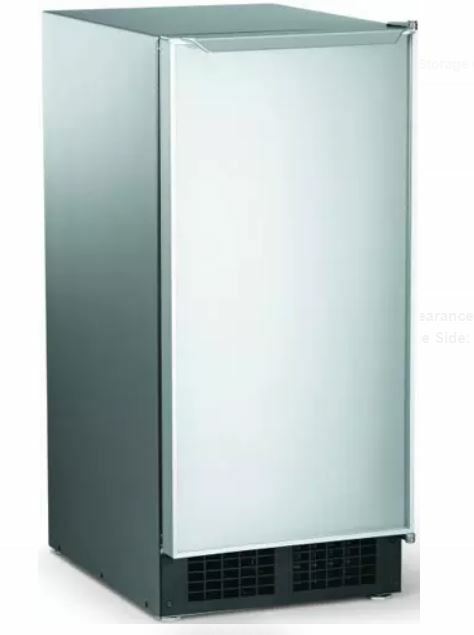 Description: 15", gravity drain, clear ice maker. 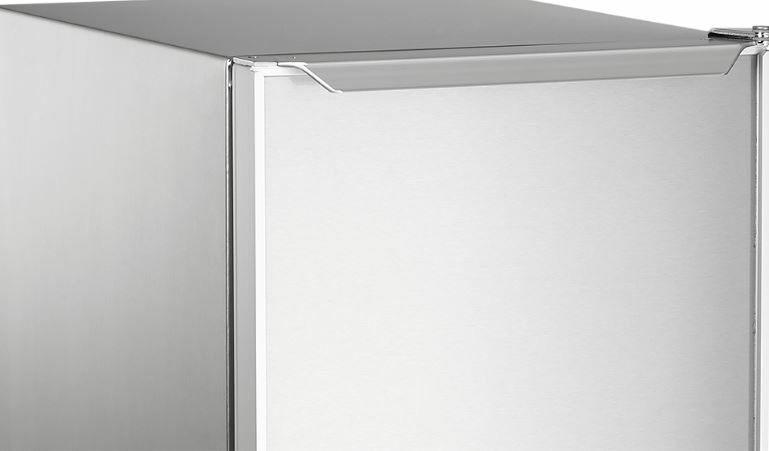 Stainless Steel cabinet with aluminum door front. Built-in or freestanding. Reversible door hinge. Aluminum door trim & handle accept a 1/4" panel. Black kick plate. A nearby floor drain is essential. This machine is slightly used, but nothing wrong with it. May register for full warranty. Please contact info@shadyoakdist.com for further information & availability. Description: 15", pump-drain, clear ice maker. Stainless Steel cabinet with aluminum door front. Built-in or freestanding. Reversible door hinge. Aluminum door trim & handle accept a 1/4" panel. Black kick plate. Suitable when unit is not in immediate vicinity of floor drain. This machine had been installed, but not used. The evaporator has been replaced by a Scotsman authorized technician and unit works as new. Please contact info@shadyoakdist.com for further information & availability. This machine had been installed, but not used due to a malfunction. It has been repaired by a Scotsman authorized technician and works as new (unit has been run for testing purposes). Please contact info@shadyoakdist.com for further information & availability.